Allegra Boverman/Gloucester Daily Times. 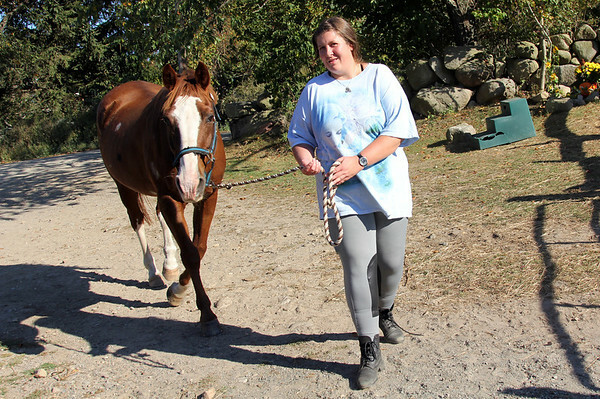 Ciara Weir of Rockport walks with Amos, a horse she often rides at Seaview Farm Boarding Stables. She's been riding horses since she was three years old. Her grandfather was a mounted police officer in Boston and he encouraged her to ride.